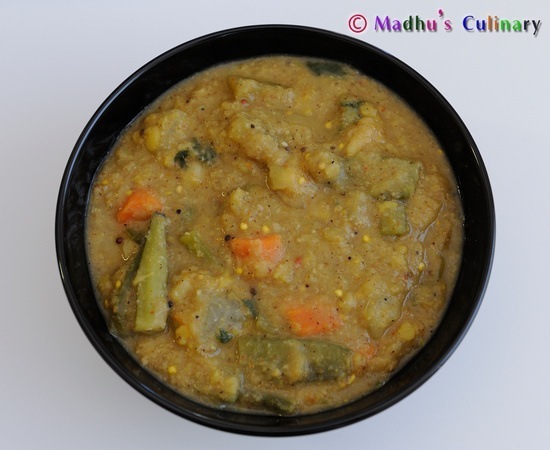 Vazhaipoo Kootu (வாழைப்பூ கூட்டு) ->Suvayo Suvai | Simple Vegetarian Recipes, Easy to prepare and healthy to eat! 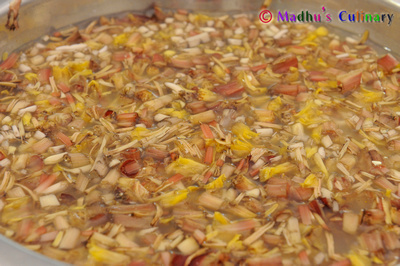 Soak the channa dal in water for 30 minutes. 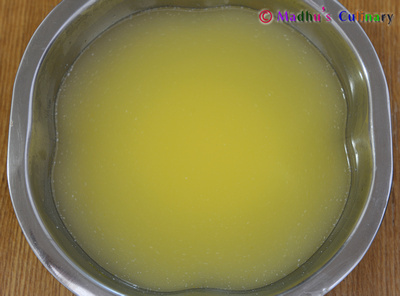 Cook the toor dal with tumeric powder and water up to 3 whistles. When it cools mash it and keep it aside. 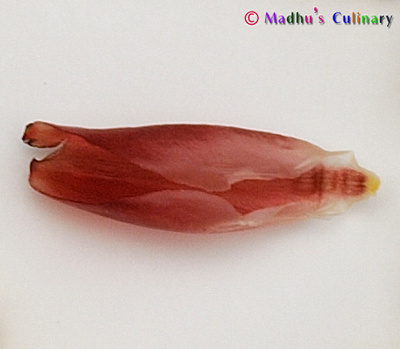 Remove the petals from the vazhaipoo, take the flowers out. 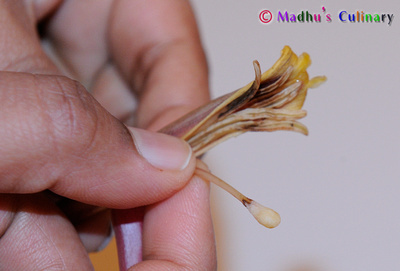 In Each flower remove the bud and small pale pink skin. Discard both. Chop the flowers into small pieces. Discard the bottom thick stem(see below image). Put it in the buttermilk and turmeric mixed water (to avoid discolor). 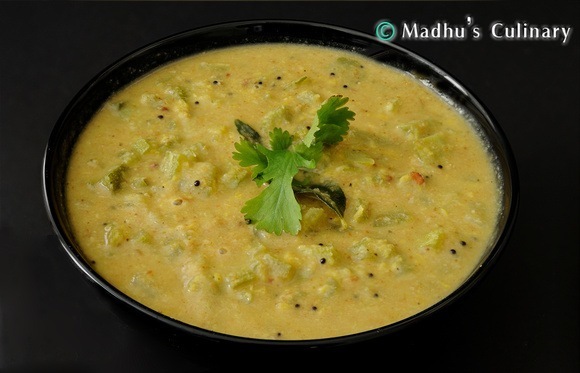 Take a kadai, squeeze the chopped vaazhaipoo from the water and add it. 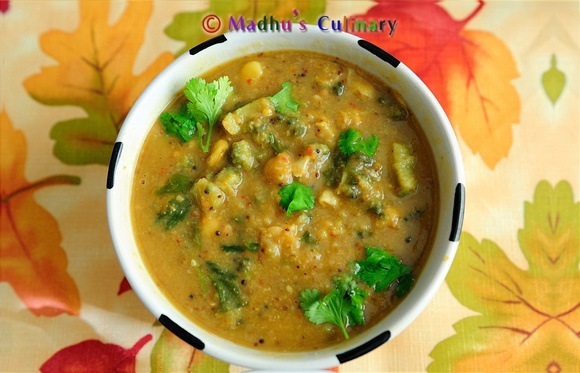 Add the soaked channa dal, sambar powder, hing, some water and salt. Cook until it becomes tender. Grind the coconut with water to paste. Then add the ground coconut paste, cooked-mashed toor dal. Mix it well. Heat the oil and add mustered seeds. 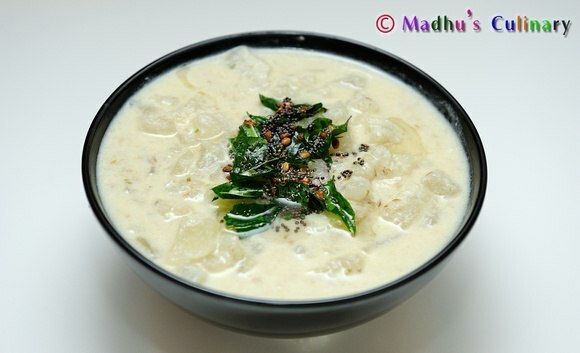 When it splutters, add the curry leaves and pour it into the kootu. Garnish it with coriander leaves. 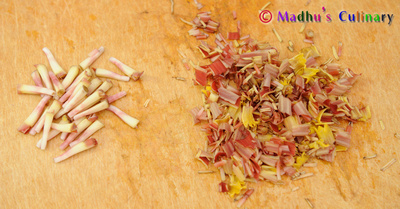 When removing the florets from the Vaazhaipoo, as you get to the core, you can directly chop the florets. No need to remove the bud. Before starting the process of removing the florets , apply oil to hand to avoid stickiness and black coloration. Keep applying as needed. 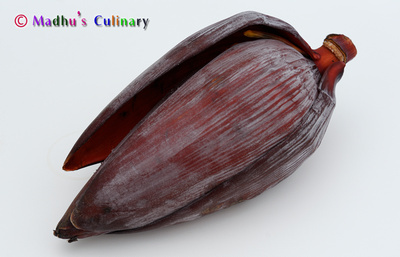 Instead of grinding the coconut, sauté it in the little oil and add it in the kootu. 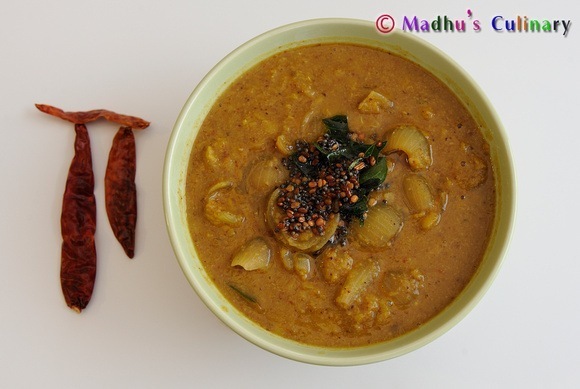 Instead of sambar powder, you can substitute with red chili powder and coriander powder.